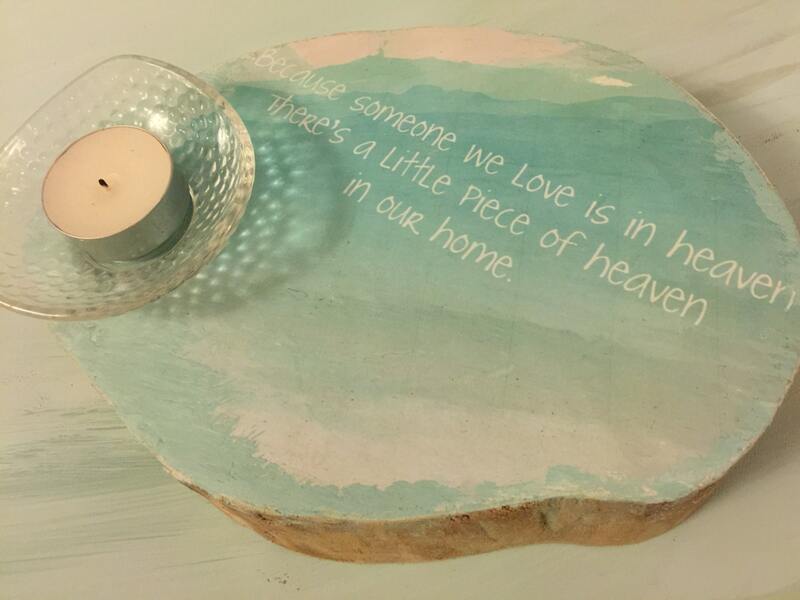 Sympathy Remembrance candle holder with quote - when someone we love is in Heaven, theres a little piece of heaven in our Home. 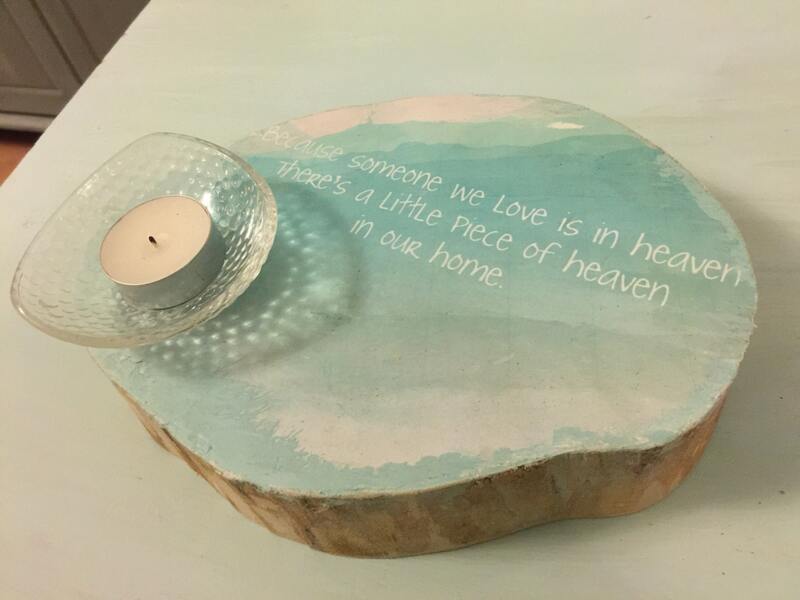 Memorial or Remembrance Candle Holder with the Quote - when someone we love is in Heaven, there's a little piece of heaven in our home. The candle holder pictured is pale green however it is possible to change the colours to suit your own preferences, please use the custom order button to request this, or message me and I will do my best to help. It is approximately 8 inches although irregular in shape. It is made from reclaimed wood which has been ethically sourced from the forests or seashores around Scotland. 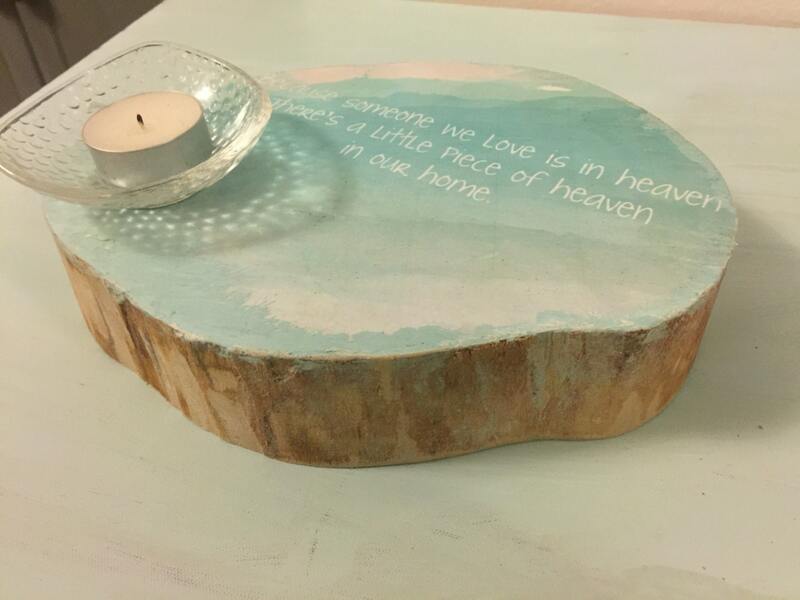 I have then hand sawn it and sanded it before adding the quote to create this natural, rustic, and one of a kind piece. The quote is printed and protected with a special finishing coat for protection against spillages. 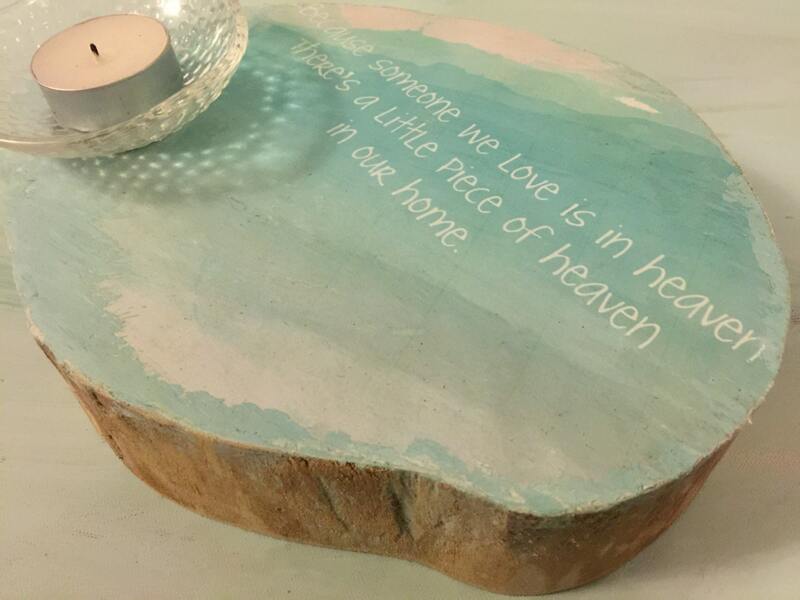 This would be a perfect unusual gift following a bereavement, or as a memorial at Christmas time or other family occasions to remember someone. Candle holder, candle included. It arrives carefully packaged and is ready to use.